I love when you walk into a restaurant and it feels like home. It’s warm, inviting, and a touch boisterous. Mix in good food and drink and it’s not really surprising that time flies; like when you start dinner at 7 pm, then suddenly realize it’s 12:30 am. That’s South End Uncorked in New Canaan. Uncorked is a hip, yet unpretentious speakeasy tucked into a tiny spot on Elm Street in New Canaan. 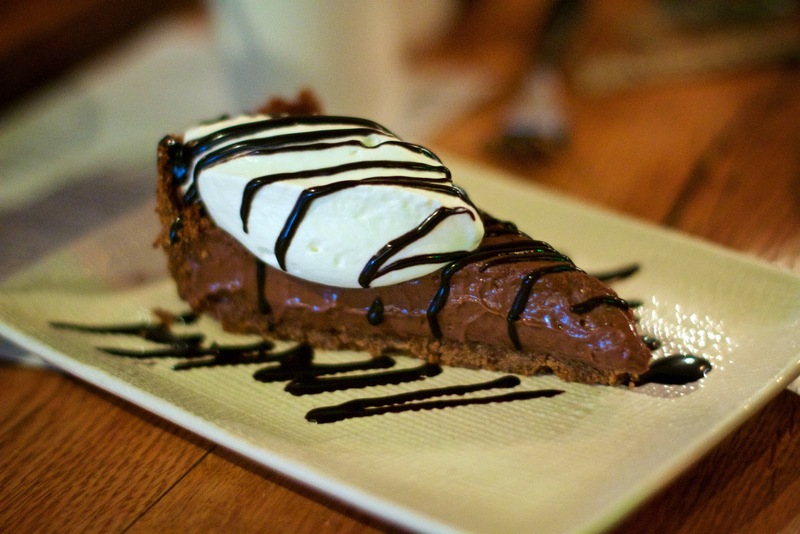 Over the holidays, we met up with Danny and Kristien of OmNomCT to check out the menu. 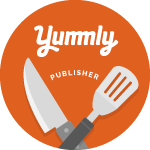 (Be sure to check out their review too!) Hope you still have your feasting pants on, because chef/owner Nick Martschenko treated us to pretty much the entire menu. 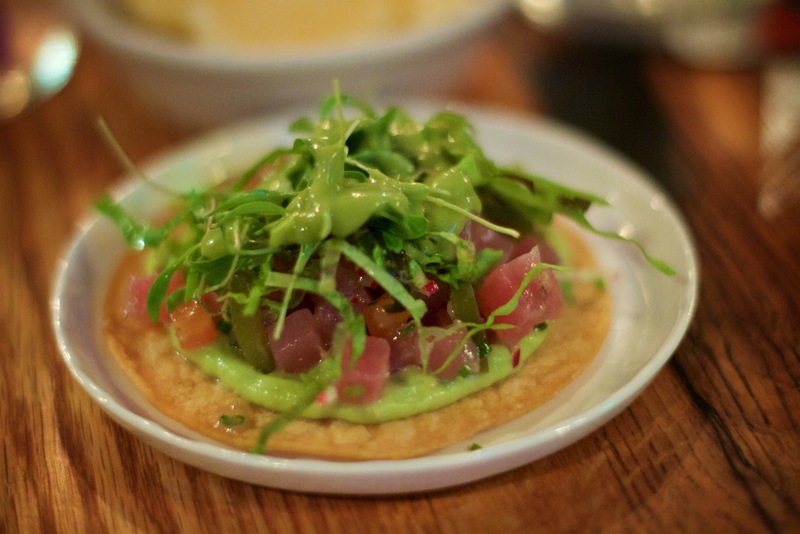 This 42-seat restaurant is in a brick-faced building, with the entrance down an alleyway. Inside is an open kitchen, small bar, high top tables with banquette seating and two long communal tables with stools in the center of the room. The crowd was a nice mix of young folks, middle-aged peeps like us, and older. Hipster fashion not required, but there is a selfie mirror if you are into that sort of thing. Pro tip: Selfie before dinner, not after. Definitely not after. If you are in the neighborhood on your lunch break, Uncorked is open for lunch too, not just dinner and late night (see below for their hours), so you can go experience the vibe and eats at a quieter a time of day. A frequent visitor to the New Canaan Farmers’ Market, Nick sources some ingredients locally for both Uncorked and his other New Canaan restaurant South End. He’s a frequent customer of Holbrook Farm, Millstone Farm, and MarWin Farm. The menu changes seasonally, but Nick avoids the overused "farm-to-table" buzz words. Nick is all about technique, quality ingredients, and big flavors. He and his staff make nearly everything in-house from the tonic for gin and tonics to the ketchup and mayo to the bread. 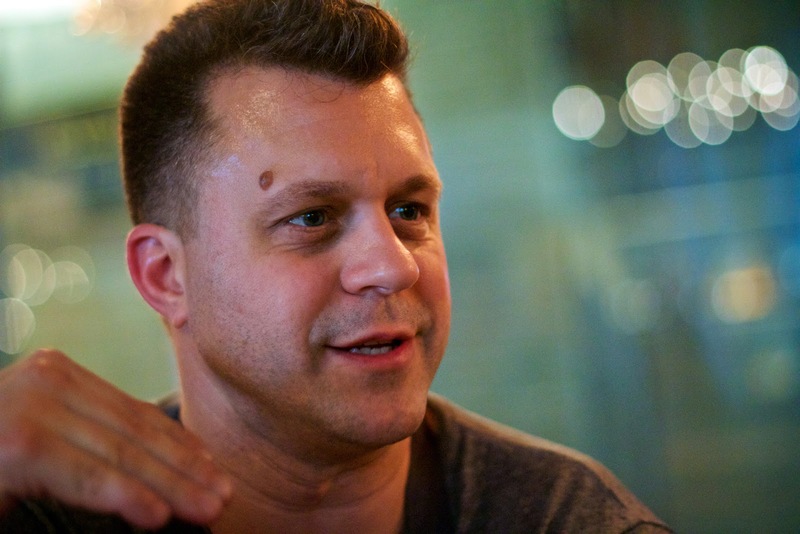 In April, Nick is joining a few other local chefs for a CT Farm To Table event. Uncorked features five cocktails and a series of specialty shots. Uncharacteristically, I decided to go for a fruity, sweet cocktail. The #3 cocktail features apple pie moonshine, Pilsner, and apple juice. It tastes like apple pie in a glass. It’s a very light and easy drinker. Renato dove right in with #2, their version of a margarita. 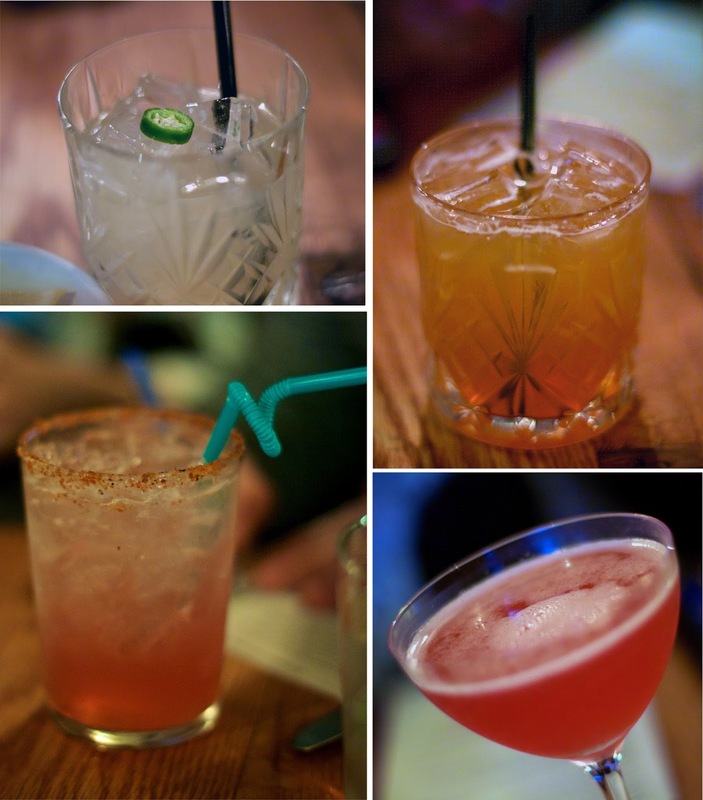 It has tequila, sparkling pink lemonade and a salty spicy rim served with a bendy straw. Renato switched over to beer with dinner but I could not resist trying the #4, a mix of bourbon, cranberry, and grapefruit. This is my wheelhouse and was the cocktail winner for me. It was frothy and tangy. 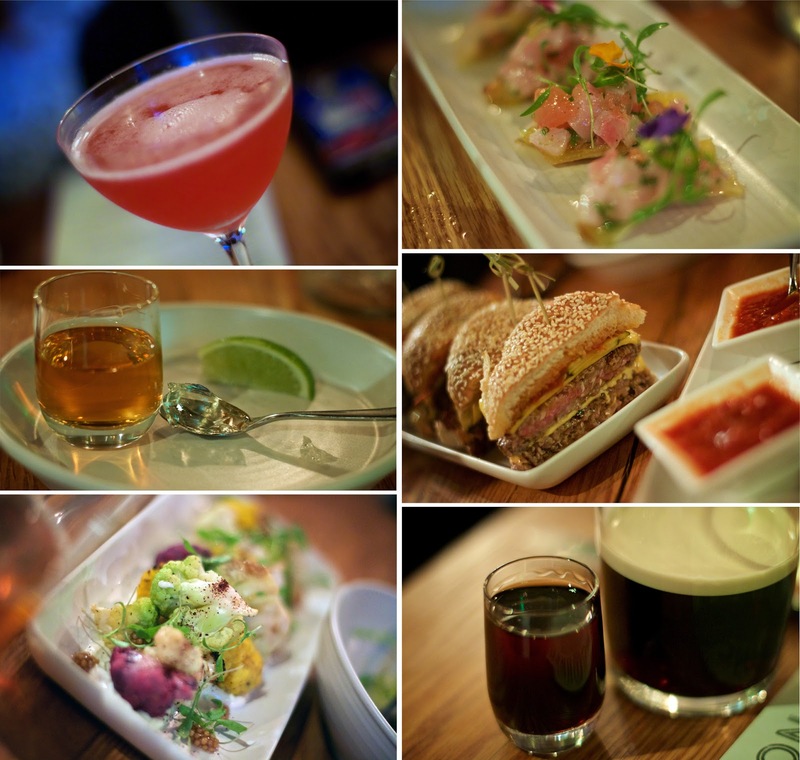 We give big kudos to Michelle Mauro for the creative cocktails, but especially for the shot list at Uncorked. The Deconstructed Mojito is super fun. Mint jello washed down with a shot of rum followed by a bite of lime. I don’t like tequila but the Orangechata was intriguing, with a shot of tequila followed by an orange wedge covered in cinnamon sugar. The best thing ever, however, was the Irish Root Beer, think of it as a MUCH tastier Irish car bomb. Drop a mixed shot of amaretto and Kahlua into a stout and drink. Smooth, creamy, and the blast of sweetness at the end was fantastic. The last shot choice on the menu is old school, a shot of Jameson followed by a beer, a tiny beer actually, like Coronita or pony of Miller High Life. If hard liquor and mixed drinks aren’t your things, no worries, they have wine on tap as well as beer on tap and in cans and bottles. The menu is broken down into Snacks, Sides, Greens, Plates, and Sweets. 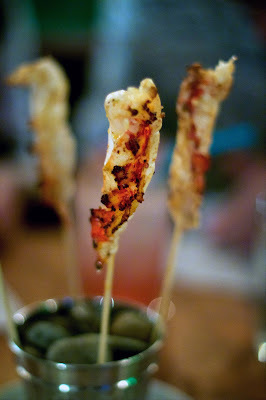 We started with lobster lollipops dripping with chili lime butter. What’s not to love about that? Especially noteworthy was the light, crispy char from the grill on the edges of the tender, sweet lobster meat. The crispy tuna taco with tomatillo and avocado salsa and pickled jalapenos had a wonderful spicy kick. 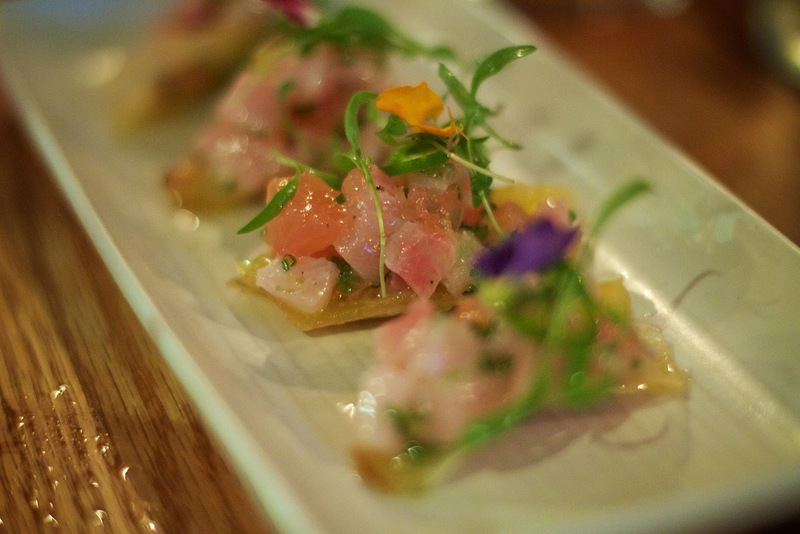 The Hamachi nachos with yucca chips, citrus, and micro cilantro were little fresh bursts of sweet and spicy flavor. And, FYI, both the taco and nachos are gluten-free. 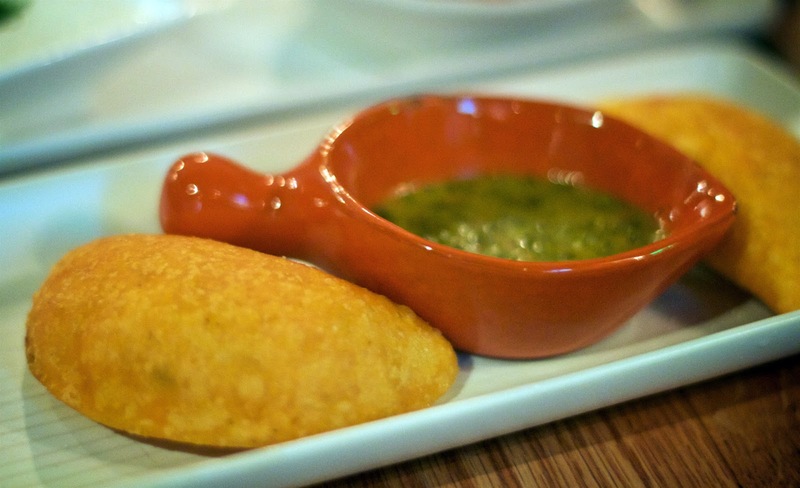 Also gluten-free are Dora’s corn empanadas filled with braised chicken and tomato. The empanadas were good but the green dipping sauce that came with them was the star. I could put that sauce on everything. 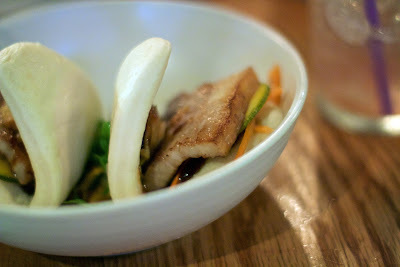 The steamed pork buns were pillowy buns filled with tender pork, pickled zucchini and carrots and housemade kimchi. The kimchi really pulled it all together for me. 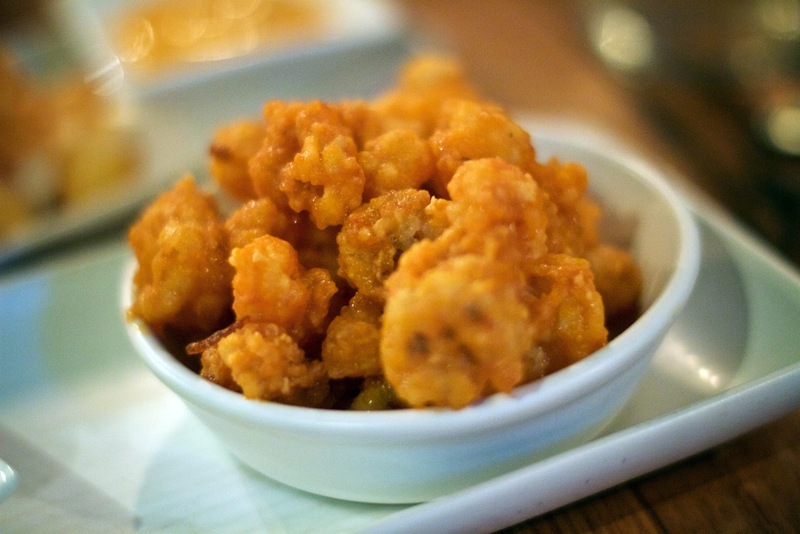 To round out the Snacks category we noshed on buffalo rock shrimp with blue cheese dipping sauce and fried cheese curds that were beer battered and served with sriracha aioli. 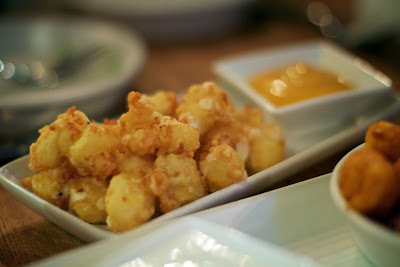 The shrimp didn’t wow me, but those cheese curds were addictive. God, I love dairy! You know I love my vegetables so I was looking forward to the Greens category. Up first was the shaved Brussels sprout salad topped with toasted pine nuts and “broken” Caesar dressing. 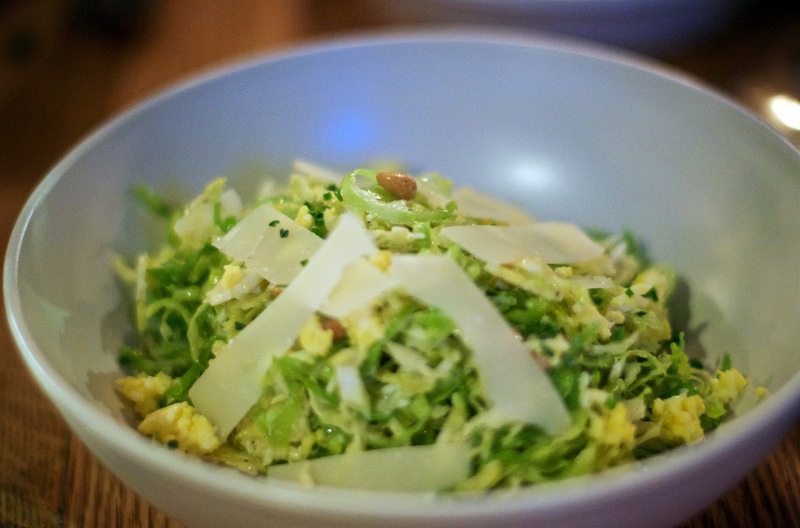 Instead of the typical creamy Caesar, the egg was shaved on top making it a much lighter dressing. Most people don’t get excited about raw vegetables, but this is a great winter salad. The four of us fought over the last few pieces of the roasted heirloom cauliflower served with cumin, goat yogurt, sumac and pickled mustard seeds. Wow, what a combination! This dish even got Danny to eat yogurt. I loved the Middle Eastern spice combination. 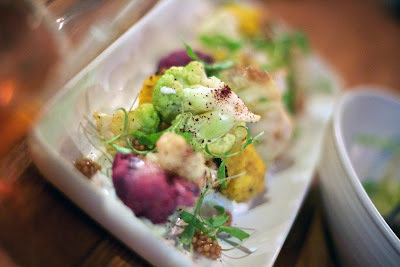 The nutty roasted cauliflower made the perfect base for the smokiness of the cumin and tangy lemon notes from the sumac. When it came to the Sides, Renato was the only person at the table eager to have the chicken liver toasts served with red onion, bacon jam, and a soft-boiled egg. Kristien, Danny, and I were leery, but we had to try it. Yeah, nope, still not fans. 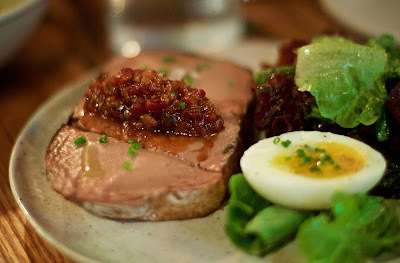 Kristien and I agreed, though, that it’s definitely among the best pate we’ve eaten. Renato was all in; giving it a big thumbs up all the way. 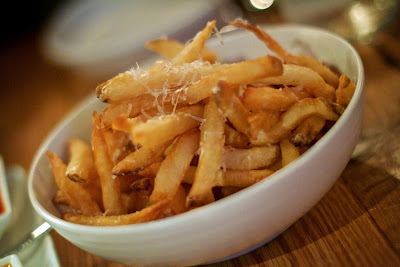 Hand-cut fries are always a winning side and these did not disappoint. Covered with hearty sprinkles of Parmesan cheese these guys were perfectly crunchy on the outside and soft on the inside. 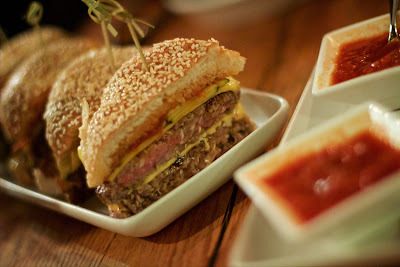 We loved the housemade ketchup too. Way better than the stuff in the bottle. So, are you full yet? By this point, I was nearly ready to tap out. Yes, my friends, I was reaching my food intake limit. I could only eek out a few bites of the Plates section before calling uncle. 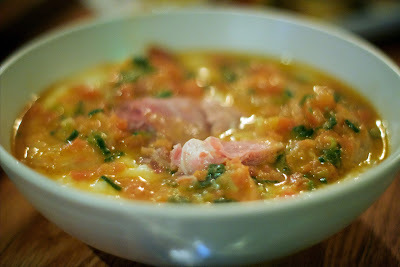 I love cheesy grits so the shrimp and grits with Anson Mills stone ground grits, Cabot cheddar, fresh shrimp and Benton’s ham was right up my alley. Thumbs up. 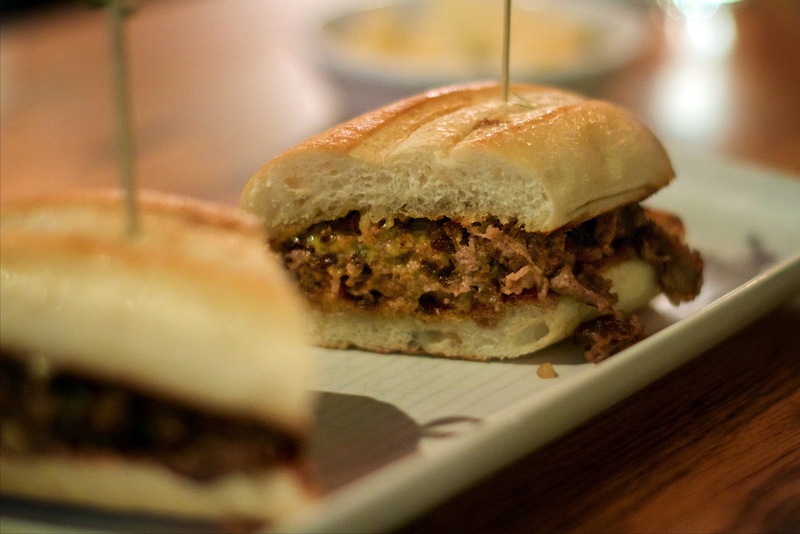 The UC cheesesteak “with” was filled with tender sliced rib-eye and American cheese. I like a touch more ooey-gooey quality to my cheesesteak so this was good, and while I loved the bread, it was a little dry for my taste. Now, talking about messy in an amazing way is the Uncorked double-double cheeseburger with housemade “burger sauce”, housemade ketchup and zucchini pickles. This is a beefy, flavor-packed, run-down-your-hands juicy burger. I want to go back to enjoy an entire one of these on an empty stomach so that I can savor every bite. 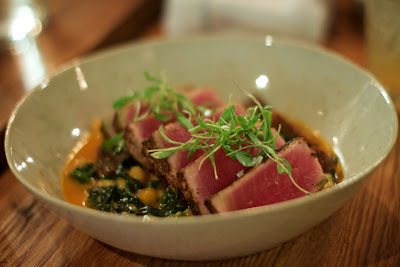 The last entrée in this extravaganza was yellowfin tuna with white beans, Spanish chorizo, baby kale and clam butter. The tuna was perfectly cooked, with a nice sear just on the edges and raw in the center. I don’t know why, but I am always so surprised by how well salty, porky chorizo goes with fresh seafood. Plus, the presentation was beautiful. Just in case, we had any room left, Nick brought one slice of old school icebox cake for us to share. By this time, I had to call it quits. I could not take one more bite. Renato’s the one with the sweet tooth so I let him have my share too. He said the cake was rich but not too sweet. We lingered in a food coma, finishing up our drinks, chatting about plans for the upcoming weekend. From our little corner of the room, we watched the packed restaurant begin to thin out and decided we should probably make our way home too. But that’s just the kind of place Uncorked is, it invites you in, keeps you there with good food and drinks, and then lets you linger for just a bit longer. Heck, it sounds SO good that if they served breakfast I'd just sleep under the table! Everything looks soooo good! I'd be right there with Renato and the pate! 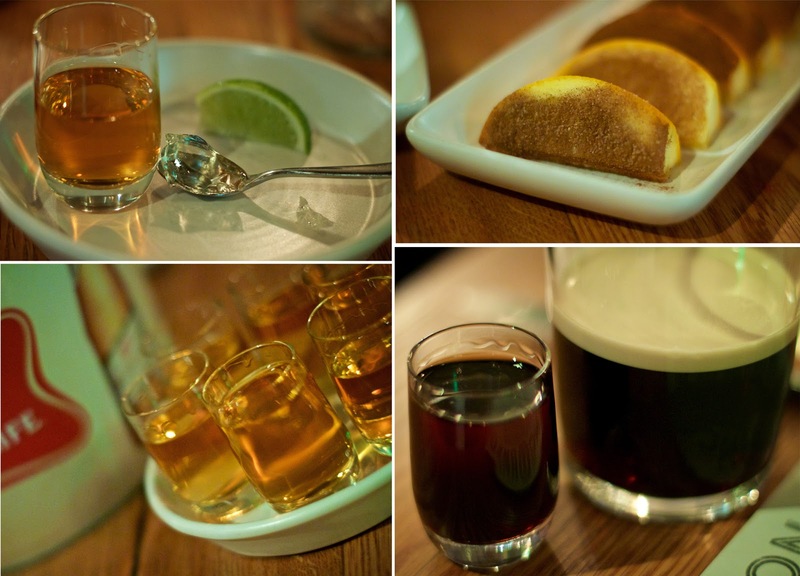 And I love the idea of a specialty menu for shots!